However, you also need to know that you may also be charged extra for other services not included in the total package. If movers have to carry the items to your new home from a long distance away, they may ask you to pay extra. This kind of situation usually arises in crowded neighborhoods where parking space is at a premium and movers can’t park their vehicles near your door. It could also happen if a shed or other small building blocks a truck’s access to a home. Some items — like for example, a large home entertainment system — may not fit through a doorway. Your best bet is to dismantle those items that can be taken apart then out them back together again once you arrive at your new destination. If an item can’t be taken apart and must be taken out/moved in via a window, then the moving company may charge a hoisting fee. Be aware that most moving companies will not make extra stops without charging an additional fee. That means that if you have items that you want picked up or dropped off along the way to your new home, you will need to do it BEFORE moving day. You may ultimately find it less expensive to put heavy/bulky items into a storage unit and retrieve them yourself later on. 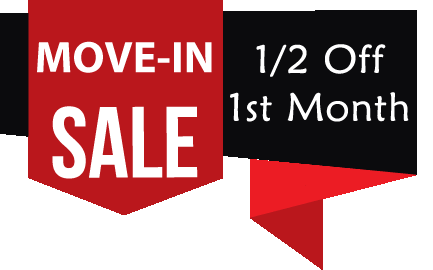 Conveniently located just off I-35 at Ben White Boulevard, Lone Star Self-Storage offers month-to-month contracts for units in a variety of sizes that suit every need and budget. Contact us today!